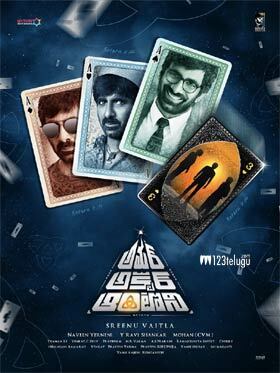 The intriguing concept and first look posters for Ravi Teja and Sreenu Vaitla’s Amar Akbar Anthony were unveiled in August and September escalated the curiosity around the movie. AAA has Ravi Teja essaying triple roles. Now, if the latest reports are anything to go by, Ravi Teja is essaying the role of a person who suffers from multiple personality disorder. However, we will have to wait until the film’s release to witness what’s in store in the final movie. The last time multiple personality disorder was dealt in Telugu was in Shankar’s Aparichithudu and Nani’s production venture, Awe. AAA is slated for release on October 5. Ileana is making a comeback to Tollywood after 6 years. Mythri Movie Makers banner is producing the movie.